I went to Cotswold Falconry Centre yesterday. They’ve got falcons, eagles, hawks, kestrels, vultures and more owls than I knew existed. Fantastic place. Really enjoyed it. Must go back again with my son. The nice thing about it is that many of the birds are on tethered perches so can be photographed without having to go through glass or cages. I picked out one shot that I thought was really nice. This was the female Golden Eagle called Xena. It was shot with a Sigma 105 EX 2.8 Macro lens from about 4ft away at about f/5 and 1/640. Xena - Golden Eagle. Click photo to enlarge. This was a Chilean Eagle. Chilean Eagle - click to enlarge. This next one is a Lanner Falcon. I got to hold and fly this barn owl. He was lovely. Quite hard to photograph white on a bright day. 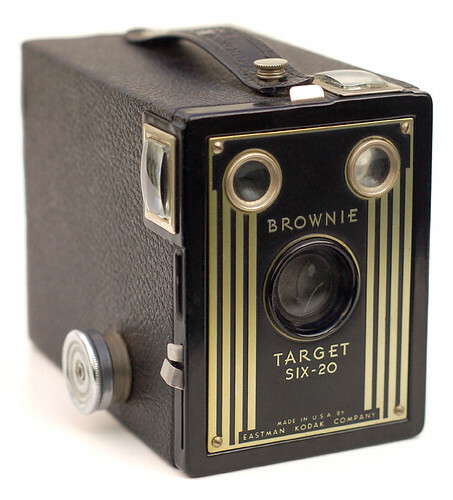 First camera I ever had was a small box thing that I think I only ever got 2 recognisable shots out of. Mind you, I was about 8 when I had it as a hand-me-down from my grandmother. How was I to know if you took out the film and had a look at it, the negs came back blank? 😥 At least they didn’t charge for the processing. But it was labelled “FAIL” on it. My second film ever and I was a failure. Still, it didn’t put me off. 🙂 I did give up on that camera though. Next up was a small kodak ektra 12 I got for my (probably 10th) birthday ca. 1979, which I happily snapped away with for a few years. It used one of those small cassette films. 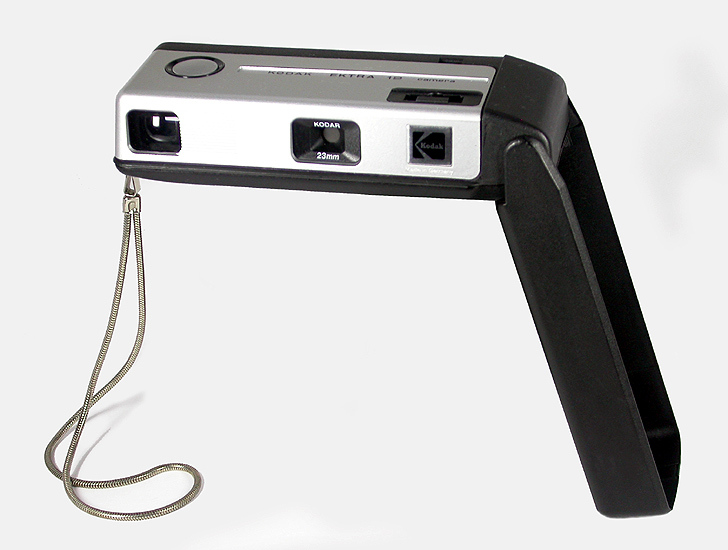 You could plug in disposable flash units for indoor shots, but never really had a lot of success with that. I’ve still got a few photos from that camera though. My 3rd camera. Olympus XA. Click photo to enlarge. My 4th camera. Nikon F50. Click photo to enlarge. Still got that one too. The F50 was a great camera. Loved using it. I took quite a lot of photos with it. Started shooting transparencies for serious stuff. Back in 1997 I considered becoming a freelance photographer, but glad I didn’t because very few people are good enough to make any decent money at it. If I’m honest with myself, I doubt if I would have been one of them. In 1999 I got into e-publishing and in 2000 needed my first digital camera. My 5th camera. Fuji Finepix 1400 zoom. Click photo to enlarge. Digital photography was something of an eye-opener. I have to say that I’m glad I got a lot of use out of my Nikon F50 before buying a digital camera because the lure of instant results almost completely killed the desire to shoot film. After buying the fuji, I probably only averaged a couple of rolls of film per year up until about 2007 – and I don’t think I’ve shot any film since then – although I might do one day if I feel the need. :-)) Still got the F50 and it still works if I need it to. Back to the Fuji though, I even took it snorkelling a couple of years after buying it. 2 weeks after 9/11 was a great time to go to Egypt. In Sharm el Sheik, I used it with an Ewa-Marine housing, which is a thick polyurethane bag with a glass front and a watertight clamp seal. SmartMedia cards were expensive back then. I remember paying about a couple of quid a megabyte. But you could fit three photos into a megabyte. I was still used to film so not as click-happy as I am now. I think nothing of bashing out several hundred shots in an afternoon now and keeping the best 10. The learning curve is just so quick with digital. You can make all your mistakes without having to write down what you did and wait for the processing. On that holiday I did my PADI advanced open water diving course and took the underwater photography option, which involved renting a Sea and Sea MX-10 camera. A few months later, in 2002 I bought a full MX-10 set second-hand for Â£400. My 6th camera. Sea & Sea MX-10. My 7th camera. Olympus Camedia C-220. Click image for larger photo. So we bought a refurbed Olympus Camedia C-220 zoom. Still got that one. Still works. Chose it because we could use our existing SM cards. March 2009 saw me itching to get a DSLR, but with low budgetary requirements. It had to be a Nikon because I already had two Nikon AFD lenses. A quick survey of the current crop of Nikon DSLRs revealed that I would need to spend Â£600 to get one that would operate my existing glass. Sod that, I thought. So after patrolling ebay for a couple of weeks I managed to get hold of a D100 for Â£170. These were selling for over a grand in 2002. 6 megapixels – DX format. But most importantly it is completely compatible with my lenses (the 70-210 f/4-5.6 set me back Â£300 in 1996). My 9th camera. Nikon D100. Click photo to enlarge. …and you can see the results of some of them elsewhere on the site.